Shinoda, Toko (b. 1913), "Untitled - Original Painting"
Notes: Signed in silver ink by the artist in the lower right corner. 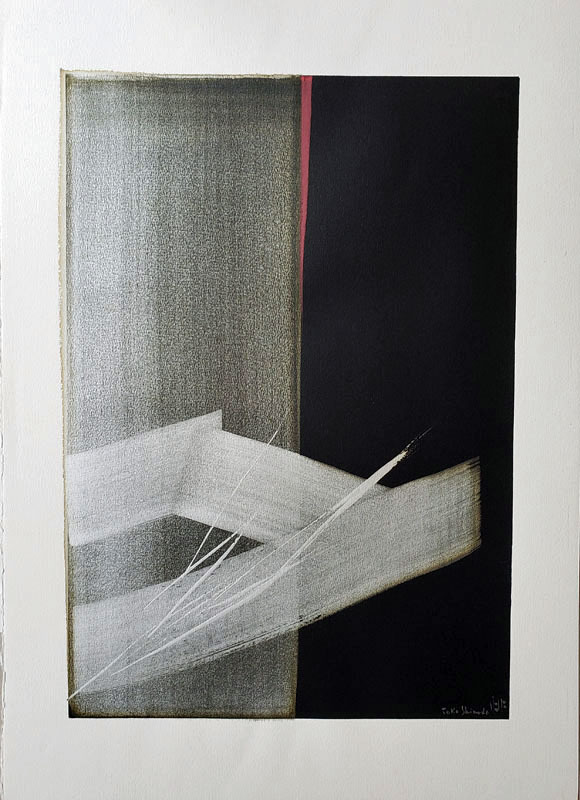 Like with her use of silver leaf, Shinoda has added a contrasting color in the background to provide a level of depth to the work. 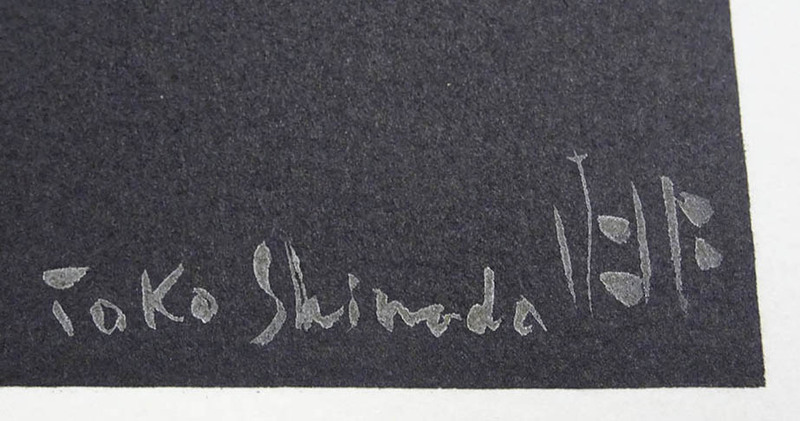 Provenance: Signed certificate of authenticity from the Toko Shinoda Authentication Committee. Toko Shinoda was born in Manchuria in 1913, moving to Tokyo in 1914. Schooled in traditional calligraphy, she had her first exhibition in Tokyo in 1940. Her abstract work began in 1947, and by the 1950's, her works had been exhibited at the MOMA and other museums and galleries in New York, Boston, Paris, Washington and Brussels. She began producing lithographs in 1960 and worldwide exhibits continued. Time Magazine published an article about Shinoda on August 1, 1983, calling her "A conservative renegade; a liberal traditionalist". Toko Shinoda works reside in numerous permanent collections, including the Rockefeller, Guggenheim and MOMA. Castle Fine Arts has mounted one-woman shows for Shinoda in 1994, 1995, 1996 and an 84th Birthday Exhibition in 1997.